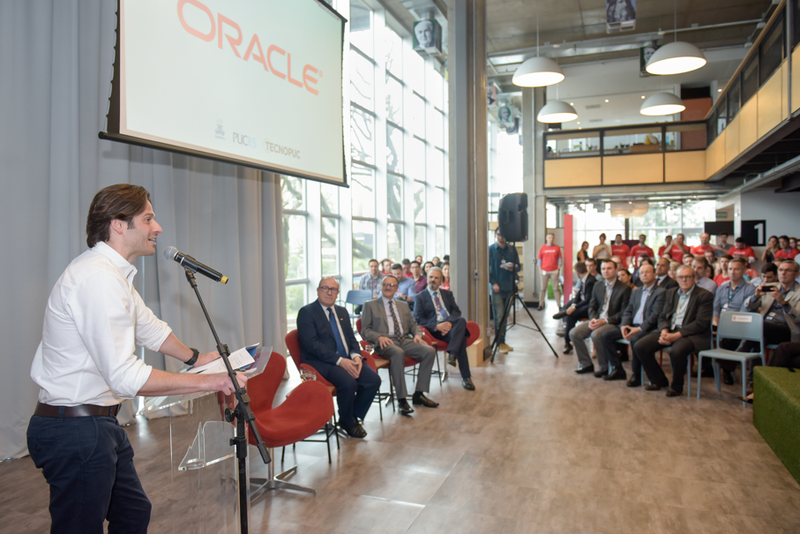 Early in October, Oracle Brasil opened a local office and has begun its operations at the Science and Technology Park of PUCRS (Tecnopuc), in Rio Grande do Sul. 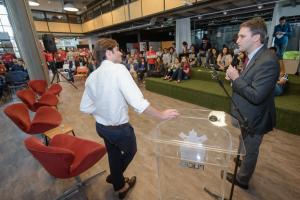 The multinational is headquartered on the second level of the Inovapucrs’ Business Complex, in an open-plan area surrounded by students and researchers specialized in technology and innovation. 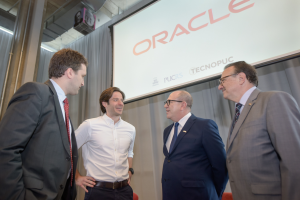 The idea is to bring Oracle and other companies in the same industry together, especially startups, by fostering the constant exchange of knowledge and interactions at the largest complex of technological creation in the south of the country. Setting up an office at Tecnopuc will give the area a more modern look and enhance the services provided to the company’s clients. It will also foster innovation by implementing the joint efforts of Oracle, students, researchers and specialists in an effort to exchange experiences and knowledge. 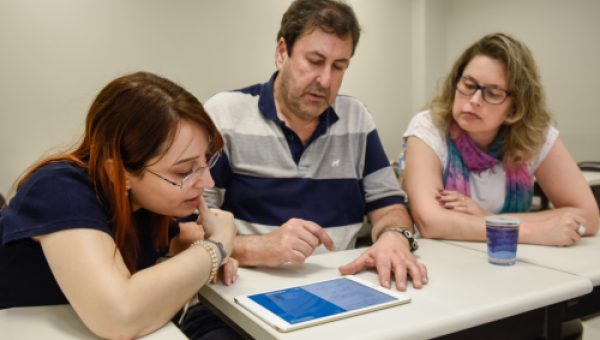 The office was opened in the presence of Rodrigo Galvão, the company’s president; the President of PUCRS, Br. 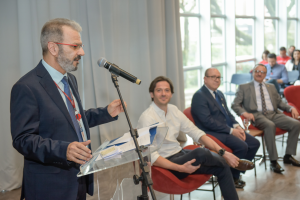 Dr Evilázio Teixeira; the Senior Vice President, Dr Jaderson Costa da Costa; the Superintendent of Innovation and Development, Dr Jorge Audy; the Director of Tecnopuc, Dr Rafael Prikladnicki, as well as local authorities. Tecnopuc’s Creativity Laboratory, CriaLab, was the site chosen to for the official opening. 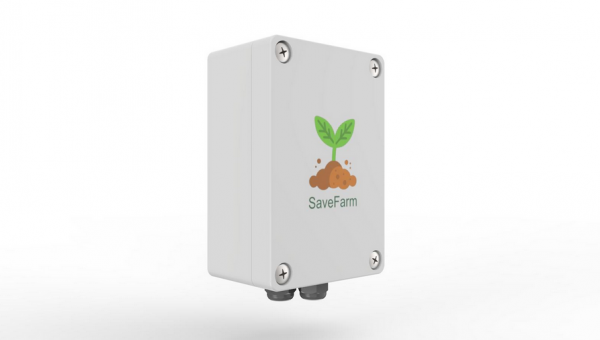 “Our mission is to change the world with our technology and our clients. 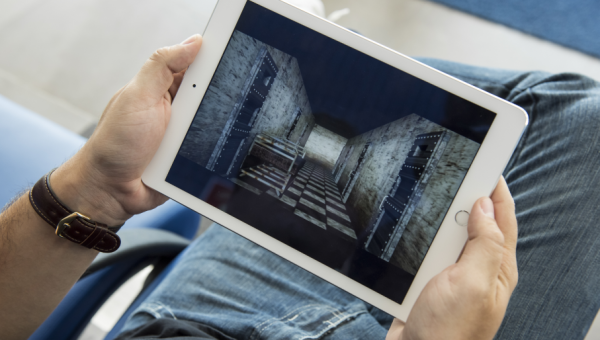 This is now possible because of the investments and the company’s active participation in the ecosystems of education, entrepreneurship and innovation. Tecnopuc is all of that in only one place and that is why we are here for. This is Oracle”, says the president of Oracle Brasil. 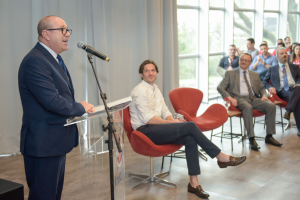 The President of PUCRS claimed that having a company such as Oracle open its offices in the year of the university’s 70th anniversary, is priceless for the history of the institution, as the company takes chances on entrepreneurship by means of new talents and startups. 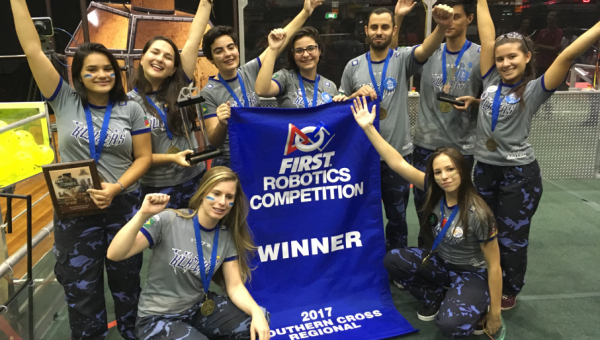 “I believe Oracle will have a very good relationships with the other companies at the Park and with our students, professors and researchers. This will give students the chance to conciliate their studies, research and new ideas, which are the needs of a increasingly complex world. It will create revolutionary solutions that are relevant for social, environmental, scientific, technological, cultural and economic development”, complements he. 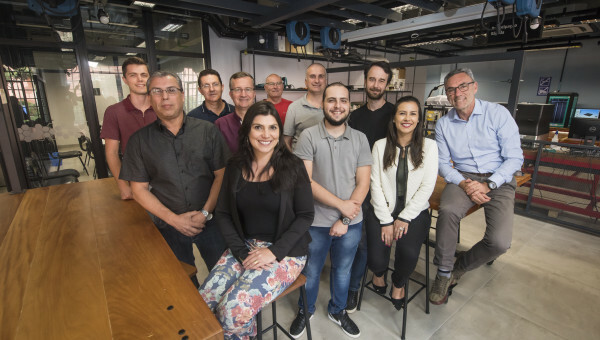 For Audy, the new office of Oracle at Tecnopuc gives the Park’s ecosystem of innovation a higher level of quality as it will foster new opportunities of interaction with the other partners headquartered there and the partners involved in the Alliance for Innovation of Porto Alegre. In Prikladnicki’s view, Oracle embodies the continuous actions of development at Tecnopuc, with companies of all sizes. 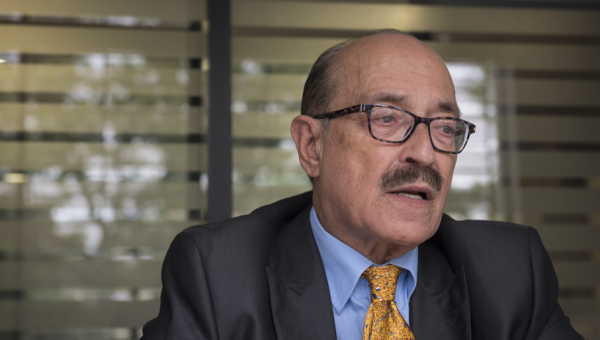 “It is a multinational that has come to value our 15 years of intense actions for entrepreneurship and innovation. This will create several opportunities for students and for our entire ecosystem in a comprehensive way”, anticipates he. 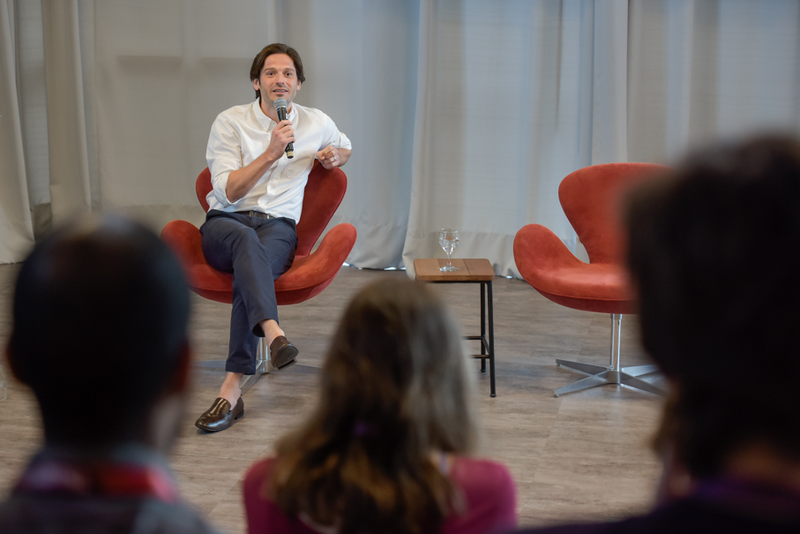 Right after the ceremony, the president of Oracle Brasil gave the lecture Futuro do Trabalho (The Future of Work). In a very informal tone, he talked to students of PUCRS. Galvão, who joined the company at the age of 19, began his talk by talking about his professional career. He distinctly remembers seeing a job posting on the wall of the university he completed his major in Business Administration, PUC-SP. In the ad, the only thing he saw was the name of the company, Oracle, and the name of the HR representative. He sent his curriculum by email and he did not even know what the position was. Since the day he joined Oracle, in 2001, the company had 500 employees in the country; today, there are as many as 2,000. 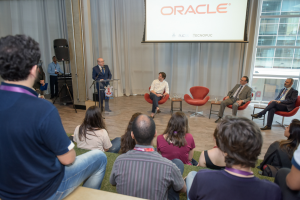 The president of Oracle Brasil re-stressed that, things in the job market can be as difficult as they can be in any other areas. “You can choose what you want to do and pursue your goals. I made my choices. No one is 100% ready for the next step. More than being better qualified, the best professional is the one who adapts to changes. We need to understand a trend and how to deal with it”, says he.